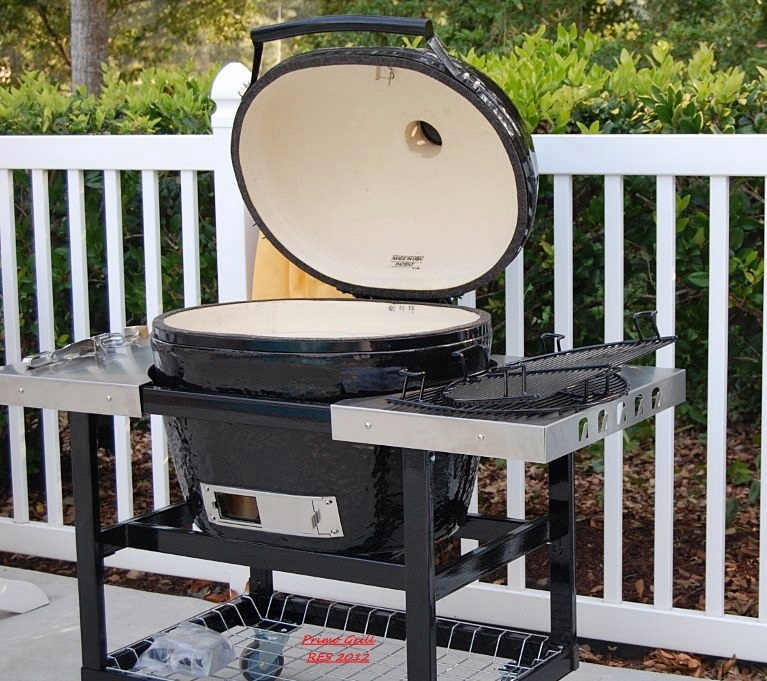 This past week we purchased a Primo XL Oval Grill and so far have made 2 fantastic dinners on the grill and prepping for dinner number 3. The exciting part of the new grill is that Michael wants to share in some of the cooking (on the grill that is) so I get a bit of a break. 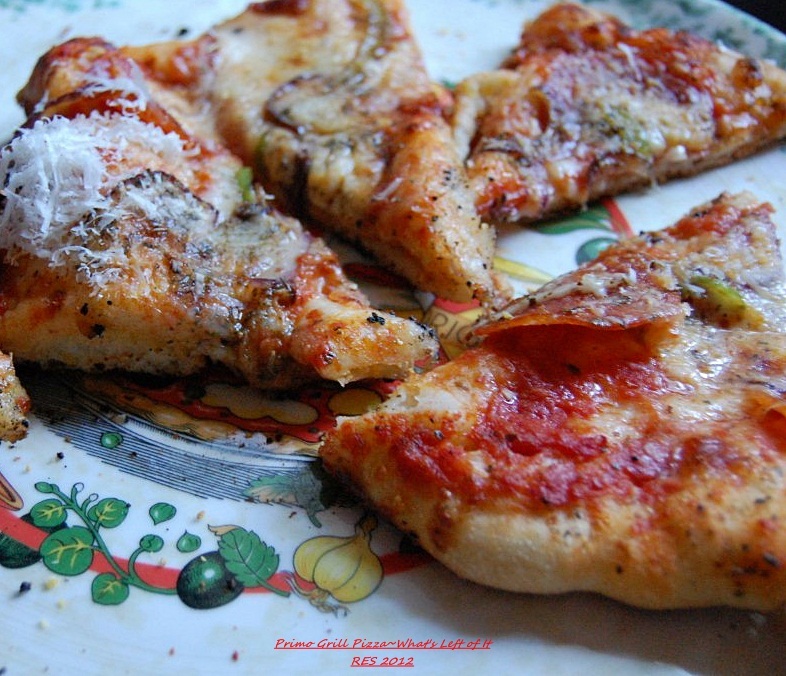 Adapting recipes for the Primo is rather easy and the results are so much better than on any grill that I’ve used or any oven for that matter. I’ll have pictures to add, but I must say that it is awfully difficult to take pictures when you want to just sit down and eat or have company that doesn’t appreciate a photo session while their food gets cold. So I’m doing a bit of catch-up and for our first night on the new grill we chose pizza, seemed like the logical and simplest thing to do for “Friday Night Pizza” but we kept it pretty simple using ingredients on hand…I am one that prefers a thin crust and Michael a thin to slightly thicker crust, we made one of each and made note of the increased cooking time for the thicker curst, all in all wonderful pizza and no need for a pizza oven with the Primo Grill. 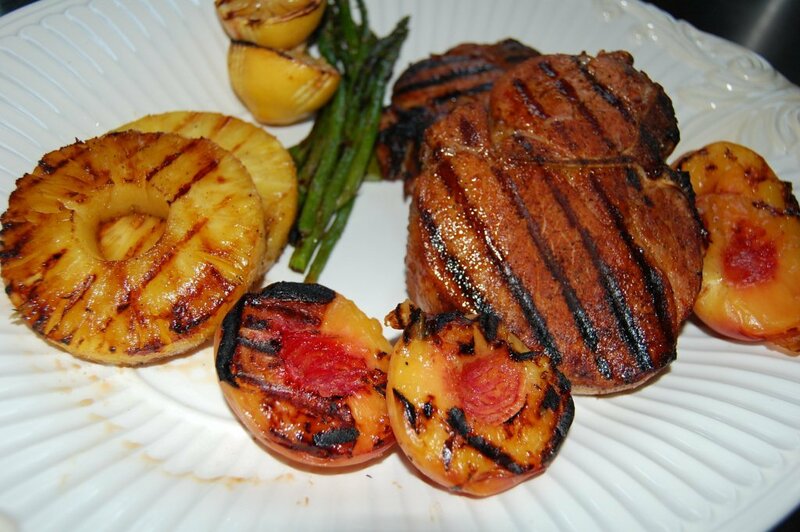 The second night we did an old favorite recipe of “Vanilla Bourbon Pork Chops” a Fine Cooking recipe, asparagus with chipotle crème fraiche, Gossling Rum pineapple rings, and fresh grilled peaches…Fantastic and we cleaned our plates. 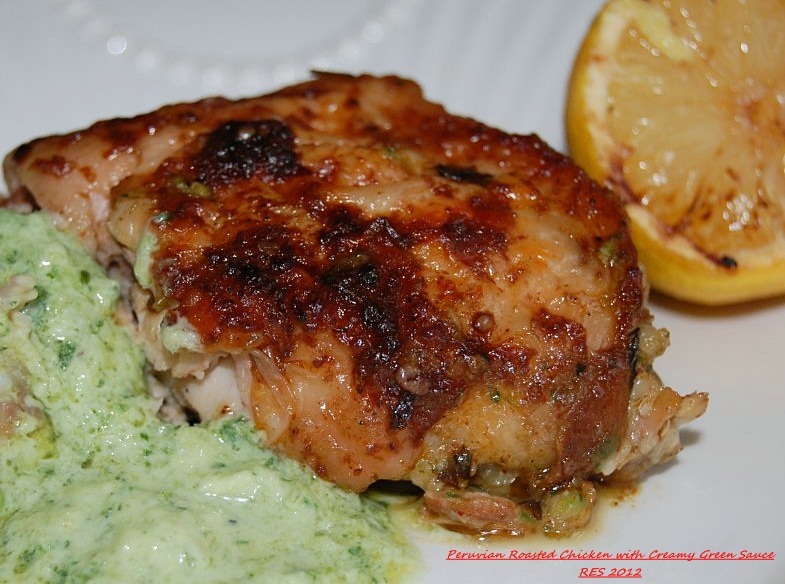 Our third dinner was a whole unbelievably juicy moist Peruvian style chicken served with a creamy green sauce. 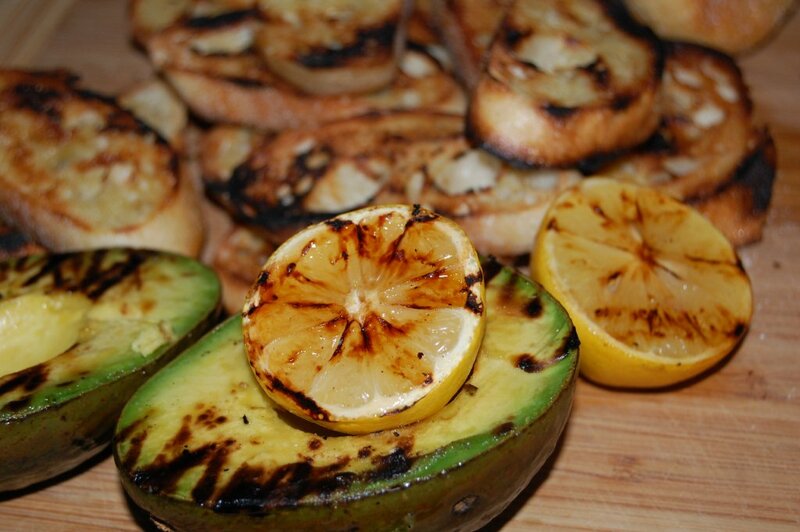 Again, asparagus drizzled with the juice of grilled lemons, a new treat, bruschetta spread with grilled avocado, and a wonderful eggplant casserole. My biggest disappointment no pictures of the whole chicken just a lonely little chicken thigh that will be just as gone soon, chicken it just vanished as did the eggplant, but trust me it was wonderful. I’ll be posting the recipes in another post.